This Headdress accessory is inspired by those worn in ceremonies by many authentic Native American tribes. While it is not historically accurate, the many feathers and bright colors are quite eye-catching. This headdress is worn around the head with an elastic headband while the feathers fall along the face and body. 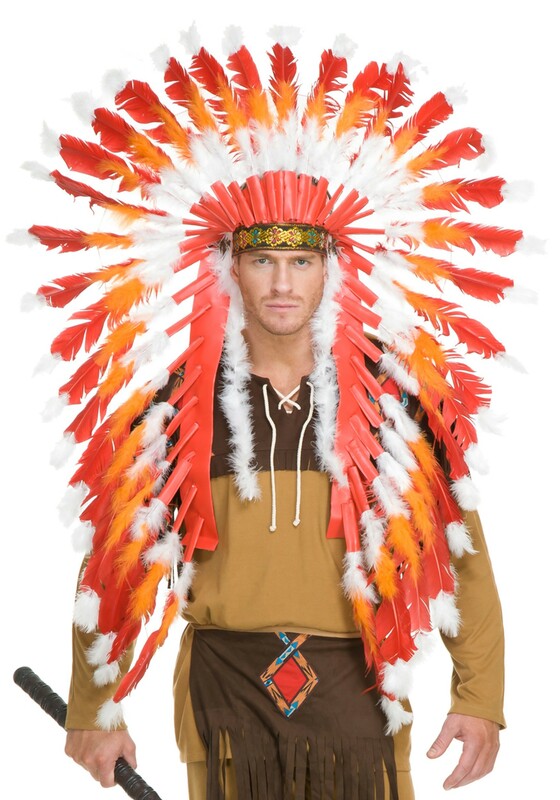 If you're looking for something big and colorful and with tons of feathers, this Native American-inspired headdress will do just that.